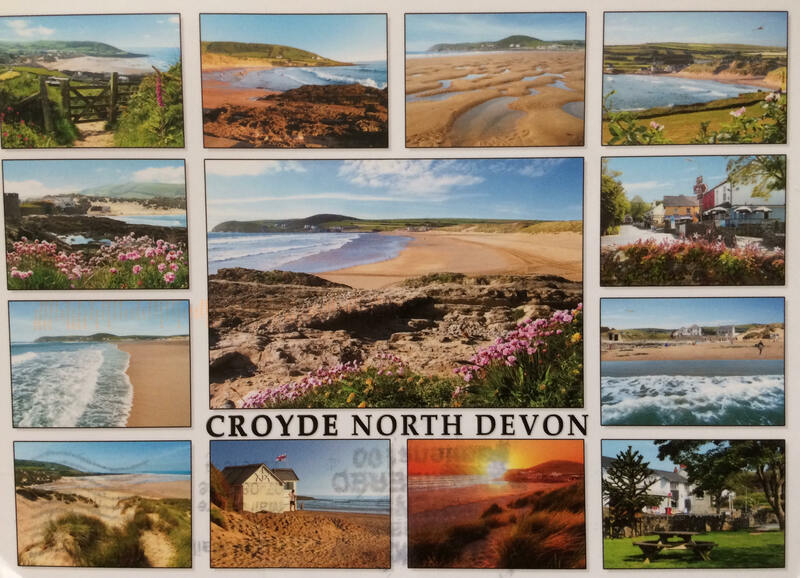 Thanks to Richard for sending this postcard from Croyde in North Devon. Croyde is a popular tourist destination with its sandy beaches and picturesque dunes. There is some surfing here but vistorsmust be careful about the rip tide. A rip tide is actually a rip current, because it is nothing to do with the tide. Instead it is a strong and narrow current of water that flows directly out from the shore into the sea and cuts through the breaking waves approaching the beach. Rip currents are dangerous because a swimmer can get caught in one and be pulled out; it’s disorientating and the swimmer can easily become exhausted tryingg to swim against it. The rip current is clearly visible in the photograph above, it is the area with no white surf, even though you can still see the wave crests approaching. Rip currents can be very dangerous. Follow this link to see information from the RNLI.